"I was nervous to meet Nontobeko as I have actually never spoken to someone with albinism. I wasn’t sure what I could or couldn’t ask and if my curiosity would be rude," said Keri Miller. To understand individuals with Albinism better, I've decided to share my knowledge that I researched with you. 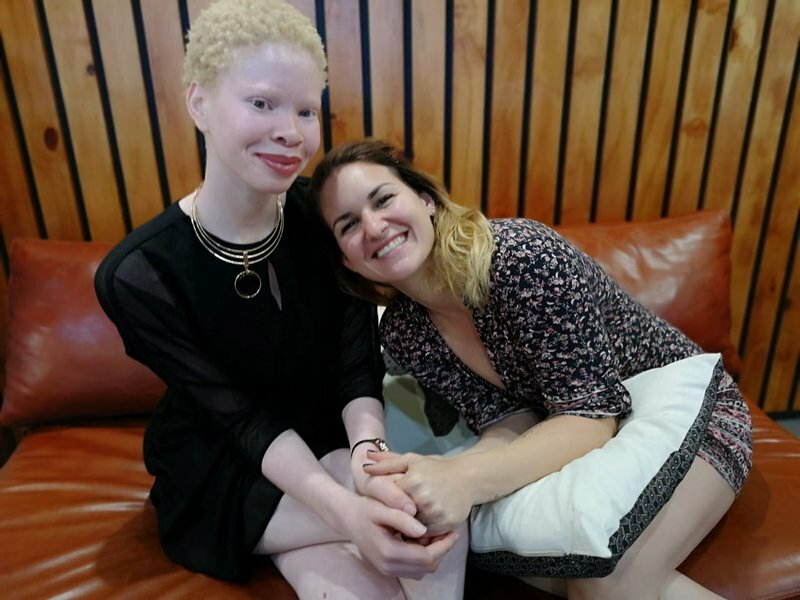 According to KZN Health, "Albinism is an inherited condition where a person is unable to produce normal colouring of the skin, hair and eyes (lack of pigments) The condition can be limited to the eye or involve the eye and the skin". It is said that "Albinism is caused by defects in the hereditary material that determines skin colour. People who have normal pigmentation could be carriers of the hereditary material that is defective for skin colour." Parents who have the defective skin colour can pass it onto their kids as well. It is also possible for kids to get albinism from their parents who have a normal skin colour. Fast involuntary back and forth movement of the eyes, which improves with age (nystagmus). Visual impairment and low vision. Freckling or pigmented patches might develop on sun-exposed areas (ephedlides). Hair colour ranges from white, yellow, light brown to reddish. Although there are many signs and symptoms, one should note that these may not apply to all people who have albinism.